Virgin America has been helping out the City of San Francisco Animal Care and Control (SFACC) by flying Chihuahua pups from San Francisco to the New York area so they can be adopted quickly into loving homes in time for Thanksgiving. It may not be well known that the overpopulation of Chihuahuas in California continues to force animal shelters on the West Coast to look to shelters on the East Coast for help. Here there is demand for the dogs among apartment-dwelling New Yorkers. San Francisco based Virgin America first teamed up with the SFACC to fly needy pups to new homes on the East Coast in 2010 to help address the influx of dogs at shelters on the West Coast. The overpopulation issue has continued to escalate since then and as part of its long-standing partnership with and commitment to SF ACC, Virgin America yesterday completed its fifth airlift. The airline launched a special “Flights to Bark About” offer*: For flight bookings made online yesterday the airline pledged $5 to support San Francisco Animal Care and Control and its ongoing Chihuahua rescue and airlift efforts. 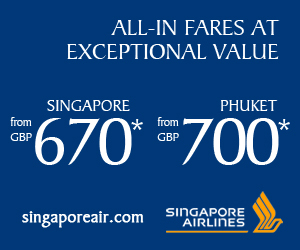 In addition, those who booked yesterday received up to 25 percent off a future flight. “We’re so pleased to again help our friends at the San Francisco Animal Care and Control who do such important work to care for animals in need in our community,” said John MacLeod, SVP of Planning and Sales at Virgin America. 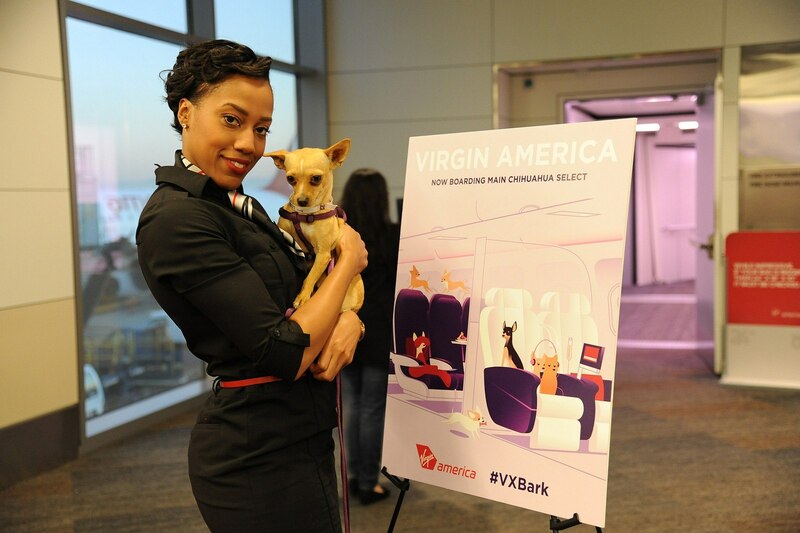 Virgin America’s “Official Pet Liaison,” Boo, hosted a special red carpet send-off at the departure gate for his fellow four-legged friends before they began their journey. The Chihuahuas were received at EWR by the ASPCA (American Society for the Prevention of Cruelty to Animals) — who will place the little dogs in loving adoptive homes. Virgin America teammates escorted the dogs on flights to the East Coast and will tracked their journey with real-time in-flight updates via the airline’s fleetwide WiFi service on Instagram and Twitter. Virgin America also asked flyers to post photos of their favorite furry travel companions on Twitter or Instagram with the #VXbark hashtag. The cutest travel critter will win a doggie swag bag containing Boo’s latest book, “Boo: The Life of the World’s Cutest Dog” and Virgin America Swag Shop pet travel favorites. “We’re thrilled to once again partner with our hometown airline — and so excited that a canine celebrity like Boo is coming out to show support,” said Rebecca Katz, Director of the City of San Francisco Animal Care and Control. “The ASPCA is dedicated to ending animal homelessness nationwide, and we are thrilled to do our part today helping to find loving homes for this group of animals from San Francisco while meeting the high demand for these dogs in New York,”” said Gail Buchwald, senior vice president of the ASPCA Adoption Center. If you fly with Virgin America you can order a cocktail or snack from their seatback any time during a flight. The airline also offers a special travel must-have for our four-legged friends traveling onboard: a pets-only water bottle for the dog on the go that can be filled at SFO T2’s hydration stations and is available via Virgin America’s online Swag Shop.